Worldly Goods celebrated our 30th anniversary this year! As a non-profit, Fair Trade store, part of our mission is to inspire sustainable livelihoods for our artisans from over 50 countries. We provide these artisans a marketplace for their products, where they are paid upfront for their work, earn a living wage within their country, have safe working conditions, and no child or forced labor is used. 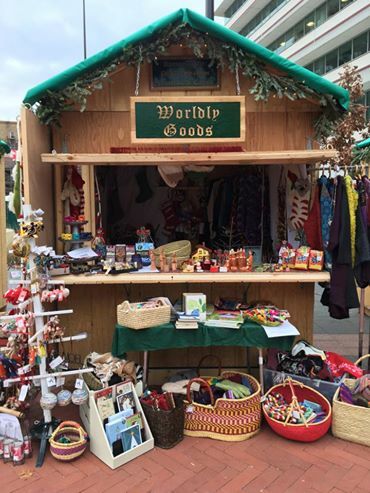 Worldly Goods was a vendor the inaugural year and loved the atmosphere and mission of Christkindlmarket Des Moines! 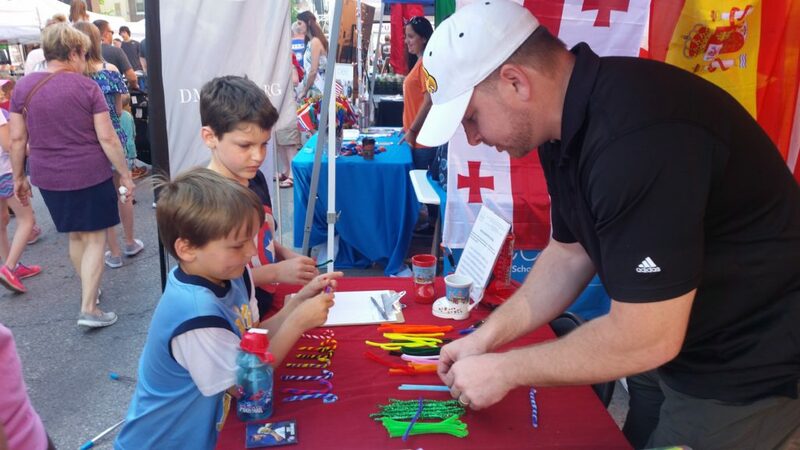 It is so much fun to share our mission and Fair Trade products from diverse cultures. 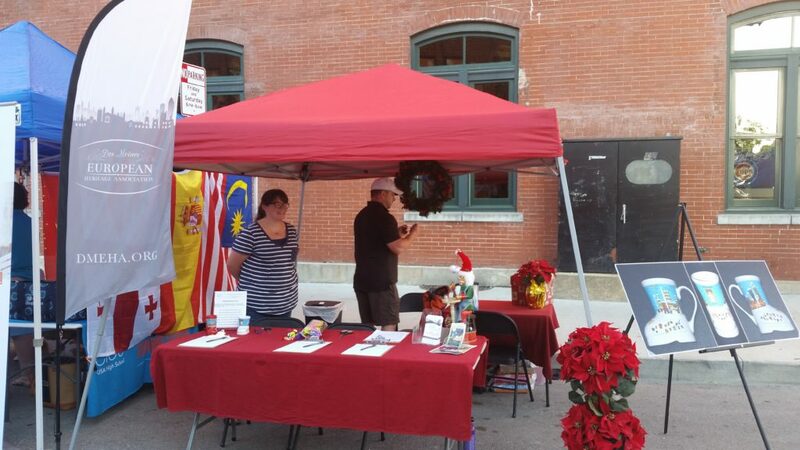 We have Christmas and holiday themed items from around the world. You can find that special nativity or ornament that will make your season bright. There will be hats, scarves, and gloves to keep you warm on those cold wintry days. 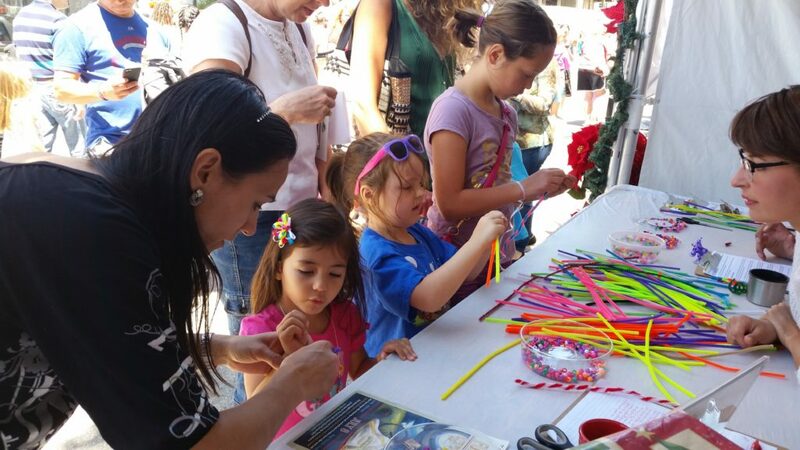 Stop by our hut and be surprised by all the fun and unique gifts that are handmade just for you! 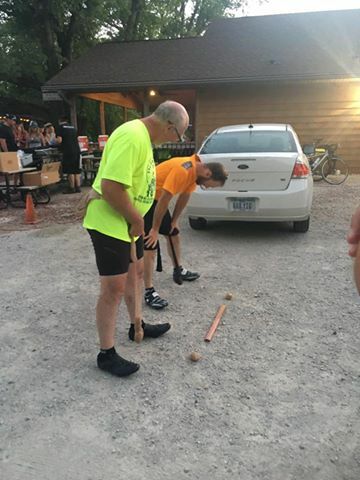 Des Moines European Heritage Association (DMEHA) partnered with Flat Tire Lounge, Nite Hawk Bar & Grill, and Whistlin’ Donkey Sports Bar and Grill for an evening ride along the High Trestle Trail on July 8 from 8pm – midnight. 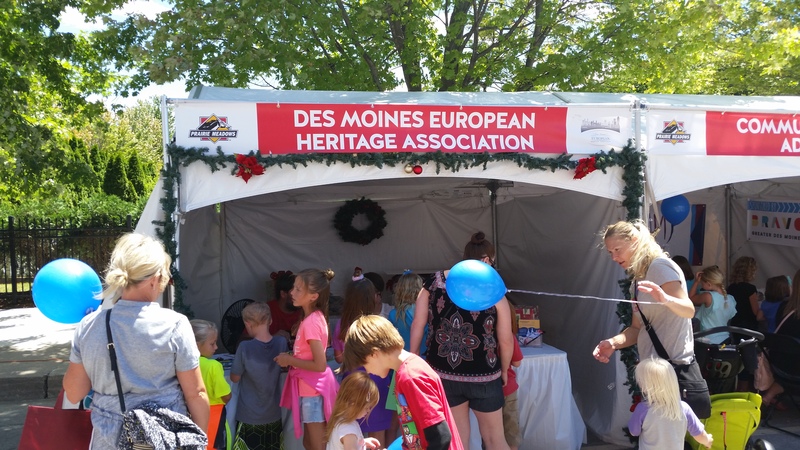 Donations to participate in the European games, will support DMEHA’s production of Christkindlmarket Des Moines 2017. 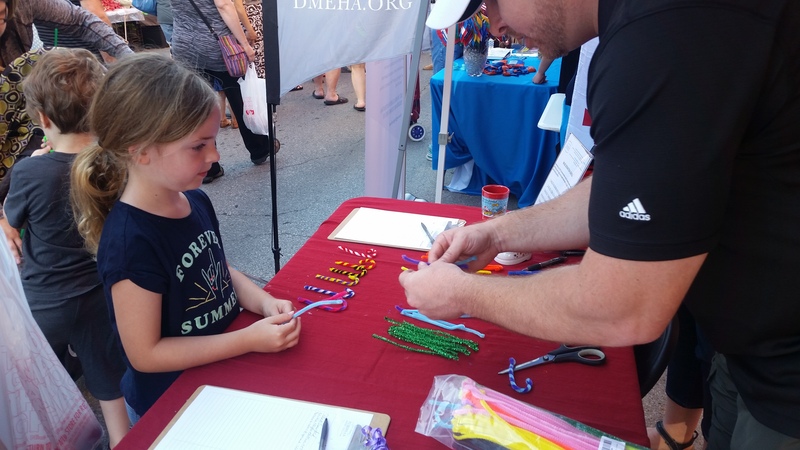 DMEHA at Des Moines Arts Festival – Wrap up! 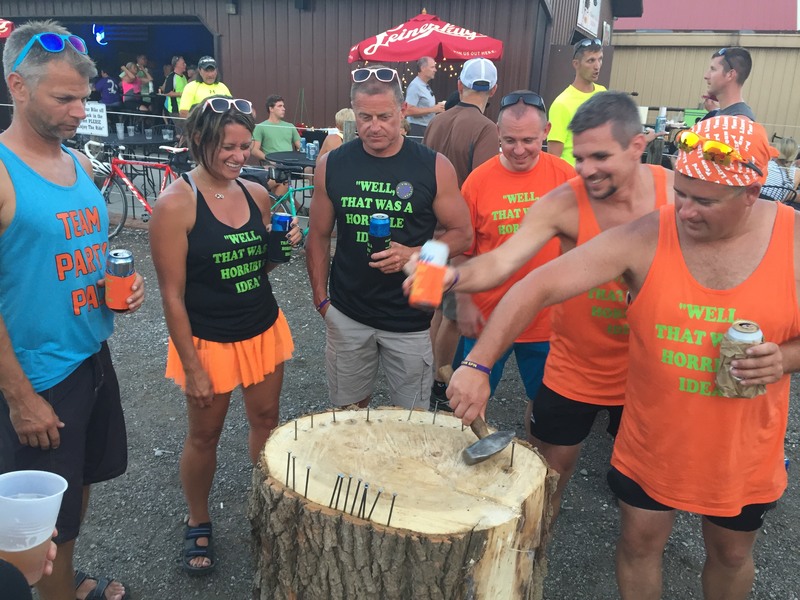 As you might have noticed from our posts lately, there is a lot to do this summer in Des Moines. 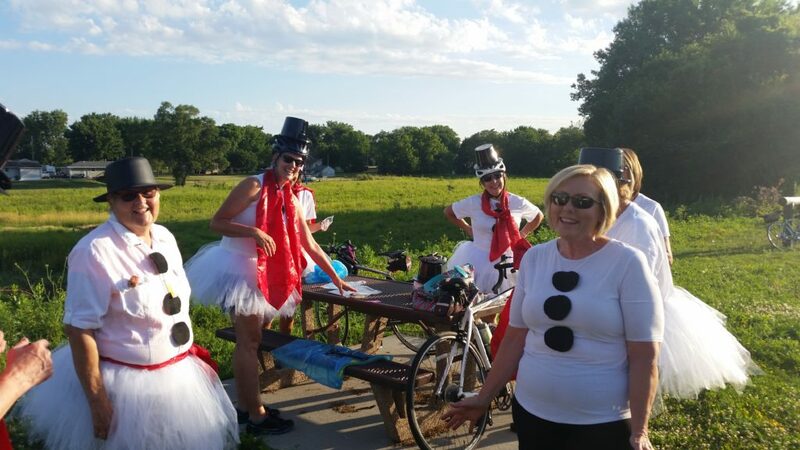 We’ve already visited the Downtown Des Moines Farmers Market and we’ll be celebrating Christmas in July with a moonlight bike ride on July 8. Check out the photos below from our booth at the Des Moines Arts Festival. 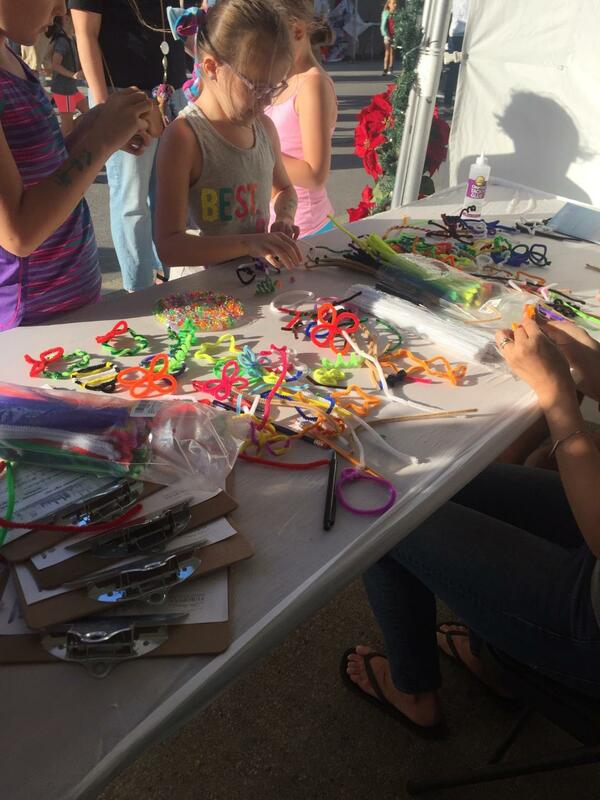 The Prairie Meadows Community Outreach Program allows non-profit organizations to connect with the public. 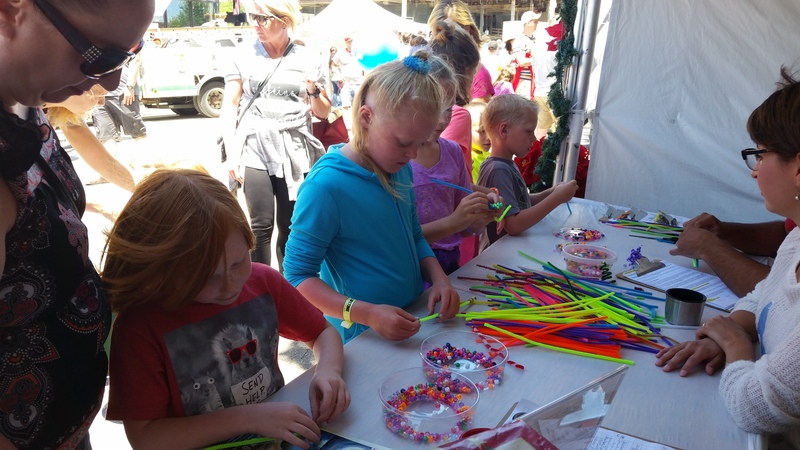 Both children and adults had a fun time making a ornaments and jewelry and learning more about Des Moines European Heritage Association and Christkindlmarket Des Moines. Click here for a full copy of Greater Des Moines’ report and for more information on the national study results and details. This study lays to rest a common misconception that investment in the arts comes at the expense of economic development. Rather, this study shows that the arts are a vital industry that supports jobs, generates government revenue, is a cornerstone of tourism and economic development, and drives a creativity-based economy. 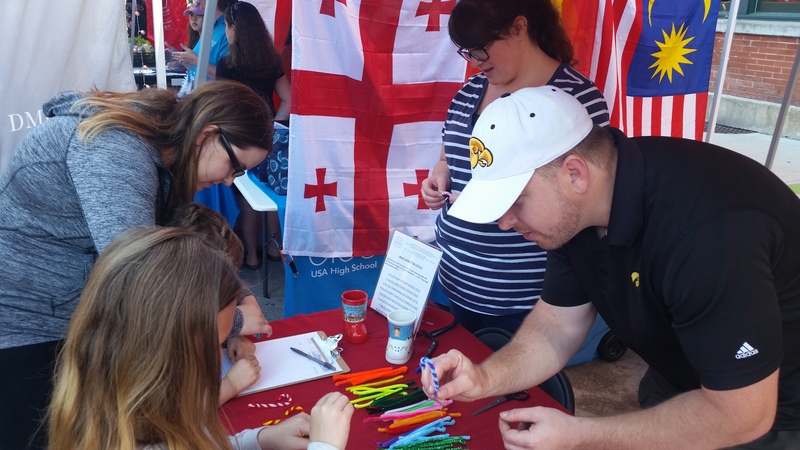 Beyond the intrinsic value of the arts to inspire creativity and engage hearts and minds, arts organizations are also businesses, employing people locally, purchasing goods and services within the community, and supporting the regional economy. 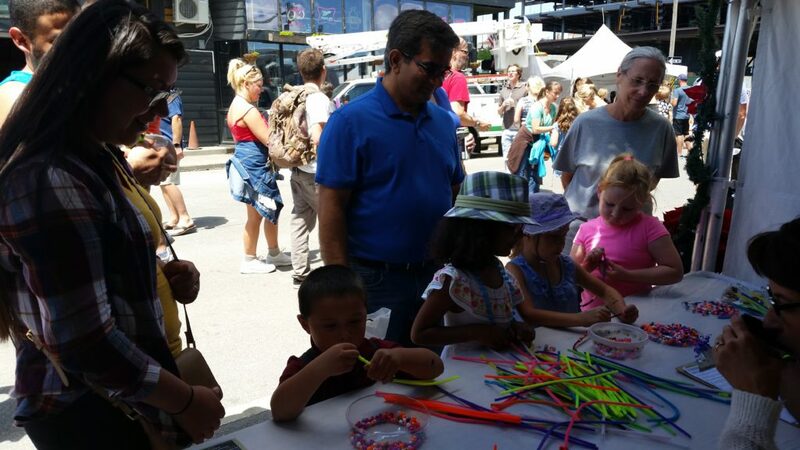 When communities support the arts, they not only enhance quality of life but also invest in economic well-being. The arts are not “nice to have” amenities but are “need to have” economic engines. 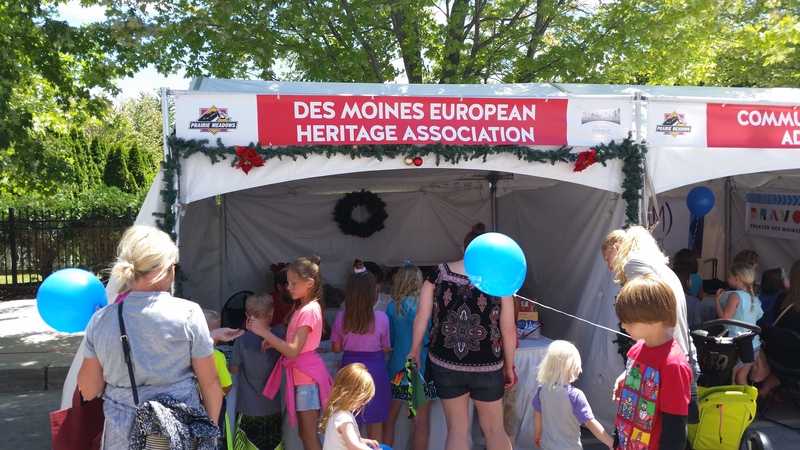 We’re proud to announce that Des Moines European Heritage Association has been accepted into Wellmark’s BluesCare Giving Program. 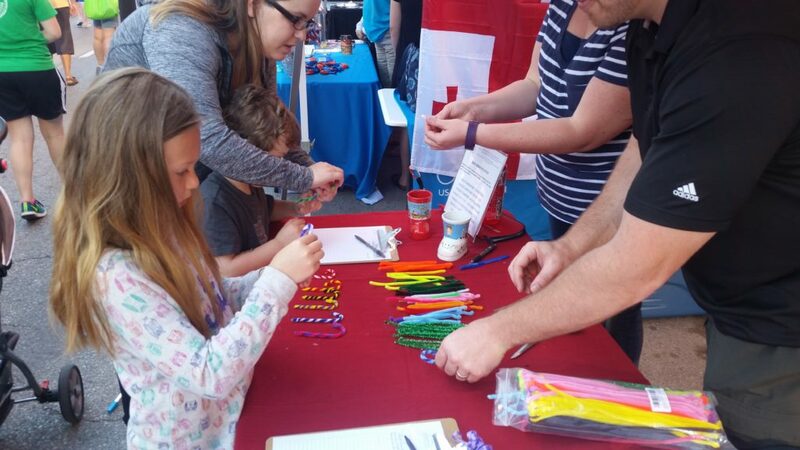 The employees of Wellmark Blue Cross and Blue Shield participate in determining where charitable contributions are distributed in Iowa and South Dakota through this signature initiative of The Wellmark Foundation. 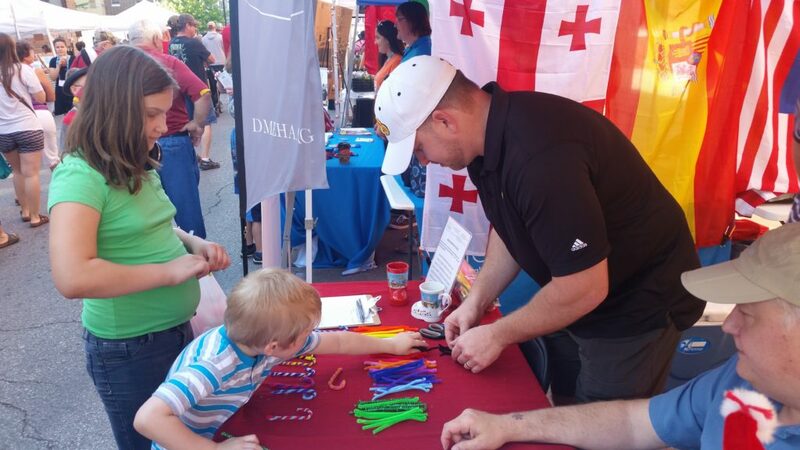 Wellmark employees volunteer more than 36,000 hours on their own time each year with qualifying organizations in Iowa and South Dakota. The Foundation matches these hours with monetary contributions to the employees’ designated charitable or educational organizations. For every four hours an employee volunteers, the employee can designate funding to the qualifying nonprofit of his or her choice. If you’re a Wellmark employee, we’d love to have you volunteer at Christkindlmarket Des Moines or at any of the community programs provided by Des Moines European Heritage Association. Does your organization offer a similar program? 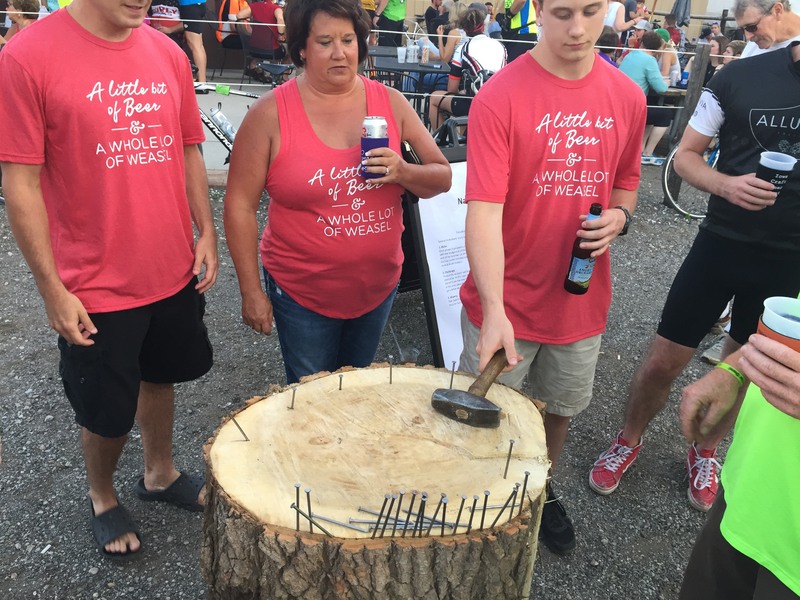 We’d love to be a part of it! 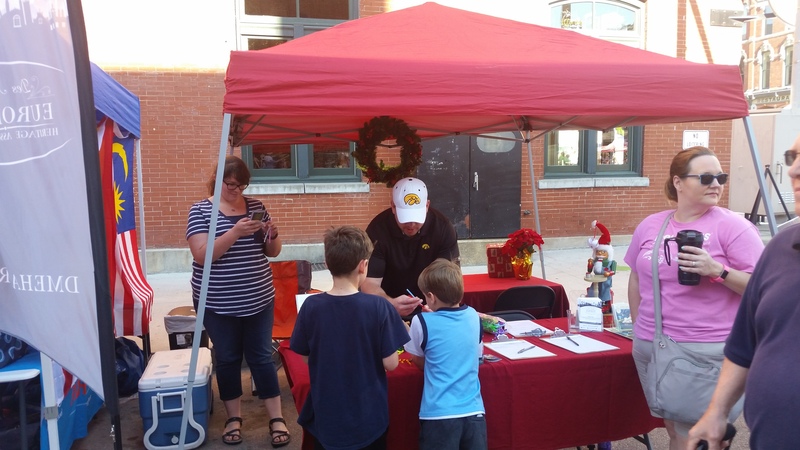 Christkindlmarket Des Moines 2017 Radio Spot! Listen to the 30-second radio spot I recorded yesterday with Ross Peterson at iHeart Radio to promote Christkindlmarket Des Moines 2017. 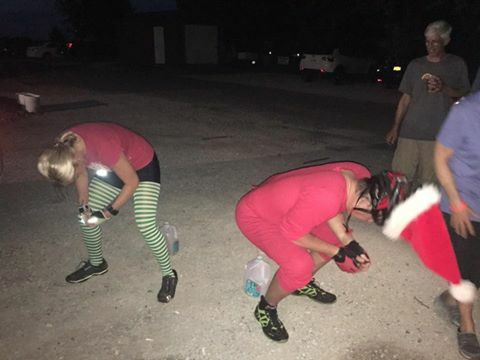 Who’s ready for the holidays to be here already? Hi, my name is Tom Hubbell and I live in Ankeny, Iowa. I am a registered nurse by profession and specialize in Pediatric Nursing. My company was just started this year and is called Prairie Products (which doesn’t sound very European, but I had to find a name to register). Prairie Products specializes in imported, German, handmade Christmas items of wood and glass. 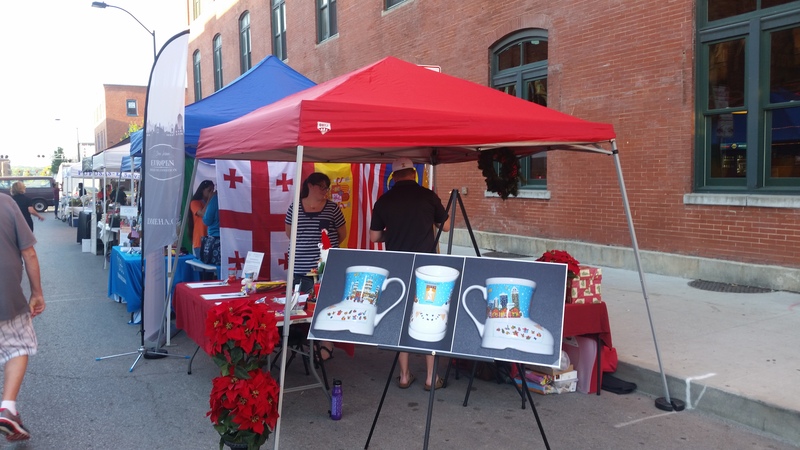 I became interested in starting my business after speaking with Suzanne Hull about the Des Moines European Heritage Association. After a great deal of thought, I felt that this business venture would be the best way for me to support the Association, as well as opening up opportunities for me to expand my horizons. 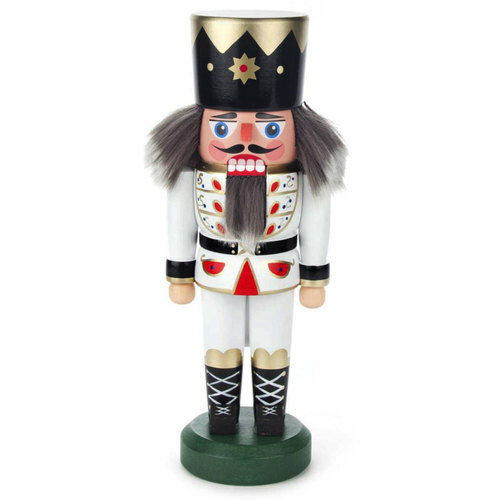 Prairie Products will be selling wooden nutcrackers (Nussknackers) from a variety of artisans, as well wooden pyramids of different sizes. 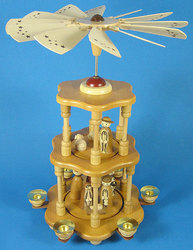 The pyramids use candle heat to make the blades at the top spin which turns an axle down the center with carved figurines; these are very traditional and common in German homes. 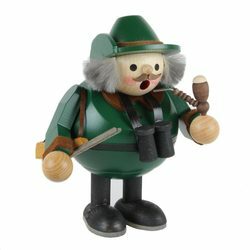 There will also be glass ornaments, wooden ornaments, tree toppers, curled wooden stars, and smokers (Rauchmannchen) of different sizes and themes. I am also hoping to have some traditional paper napkins from Germany for decorating your Christmas party table. 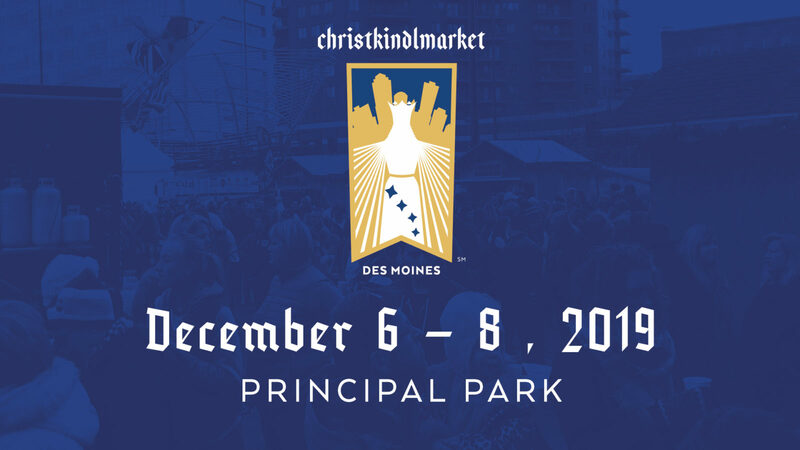 I am excited about this venture with Christkindlmarket Des Moines and DMEHA. Please stop by and say “Hello”. 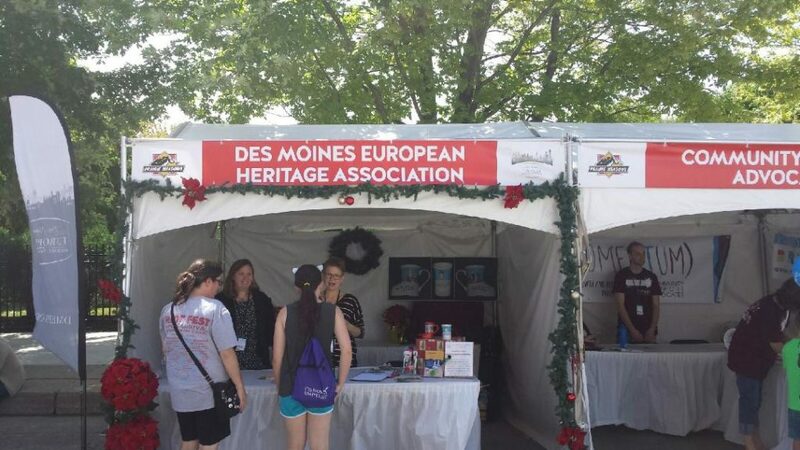 On June 3, Des Moines European Heritage Association was at the Downtown Farmer’s Market at the community corner to share our mission with market goers. 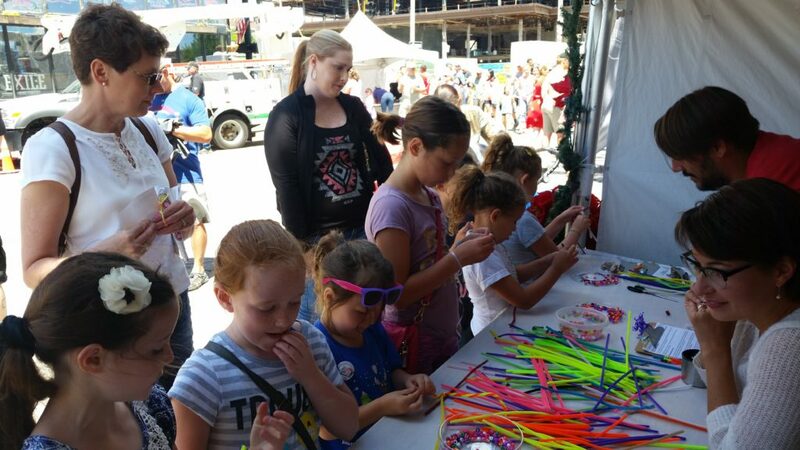 We made candy cane ornaments at our stall for people to take home. 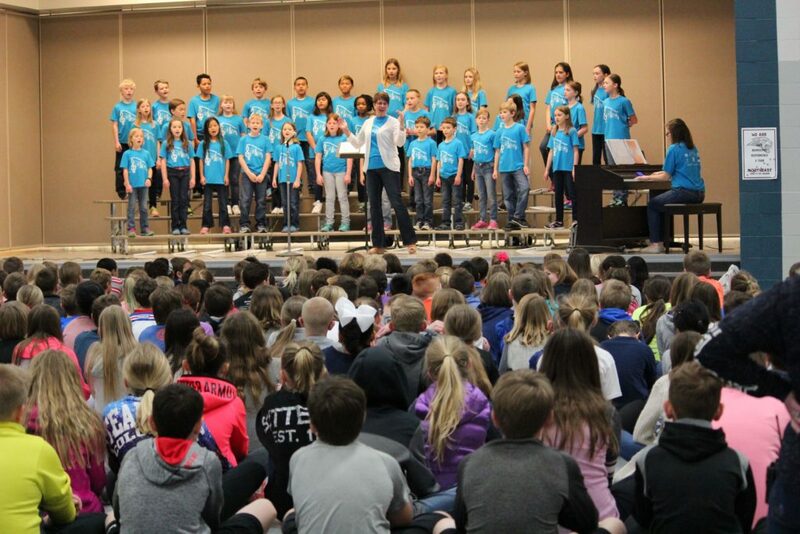 Heartland Youth Choir is a nonprofit organization that provides a performance-based program focused on music literacy, character development, and community engagement for central Iowa singers in grades K – 12. Students who love to sing can explore that passion beyond the school setting with highly skilled and experienced choral instructors. Heartland Youth Choir, with offices in Windsor Heights, is in its 15 th year of service to central Iowa youth. 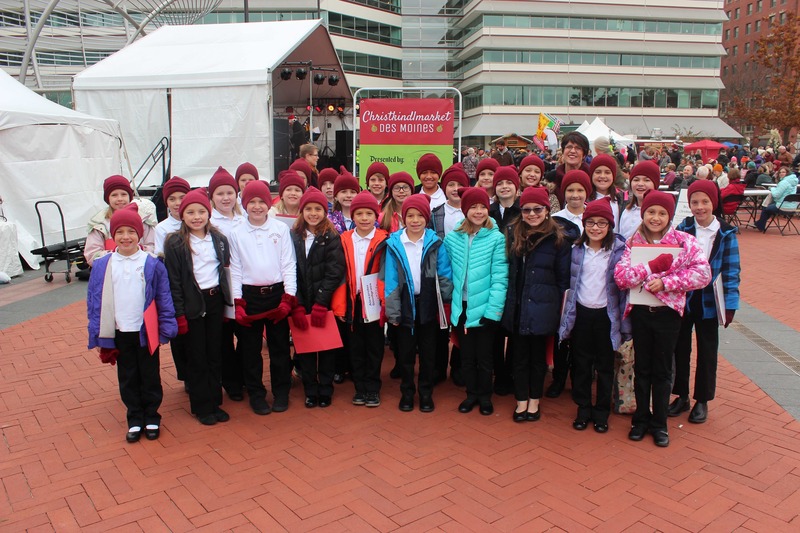 Cantilena Choir, which will perform at Christkindlmarket, is one of six ensembles that comprise Heartland Youth Choir. The majority of Cantilena singers are in grades 3 and 4. The group performs at a number of concerts and collaborations throughout the year. 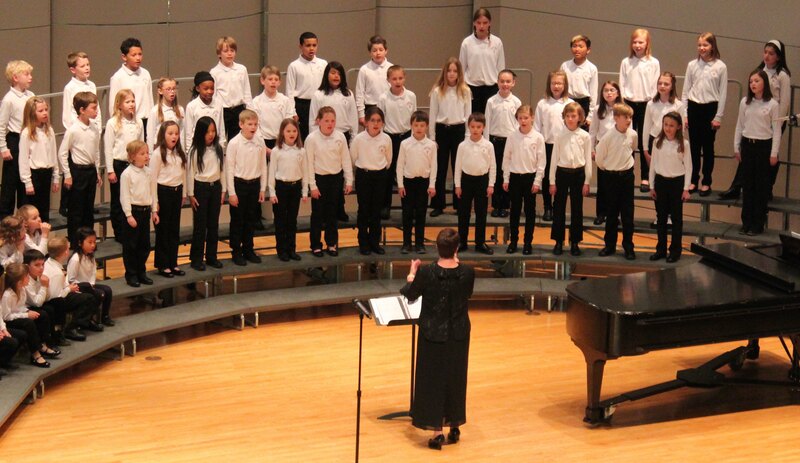 And each spring, Cantilena hits the road for a regional choir tour. 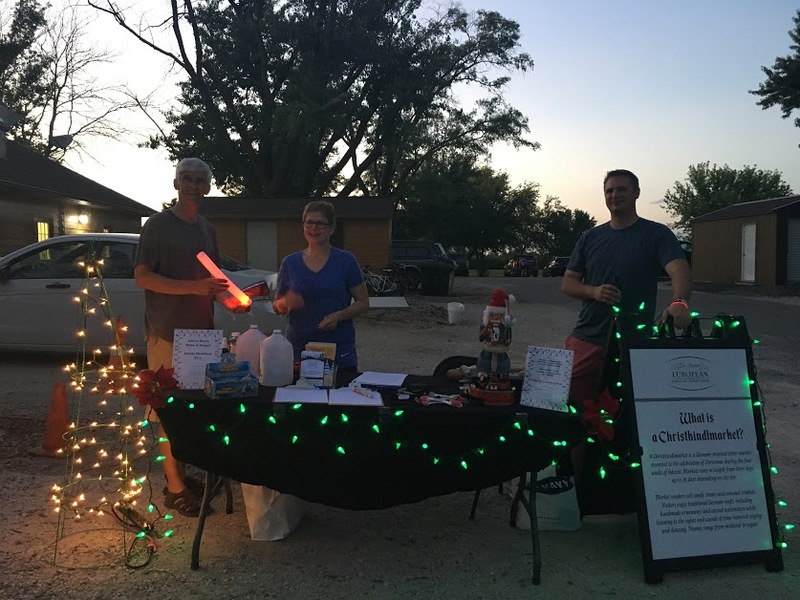 Heartland Youth Choir sang at the first Christkindlmarket in 2016, and the group is delighted to return for 2017. Public performances are an important component of HYC’s teaching philosophy. Rehearsals help students learn responsibility, teamwork, and leadership, as well as build confidence and creative thinking skills. The only thing more fun than singing songs with your friends is singing holiday songs with your friends! Conductor of the Cantilena Choir is Sandy Miller, who also teaches music at Timber Ridge Elementary in Johnston. The accompanist is Mary Bartemes, the assistant director of choral music at Dowling Catholic High School in West Des Moines. Heartland Youth Choir ensembles deliver 40 performances a year. In addition to their own concerts, HYC also seeks collaborations with professional musicians and organizations. A few examples: the Des Moines Metro Opera, the Des Moines Playhouse, the Canadian Brass, Central Iowa Wind Ensemble, the Des Moines Symphony, Mannheim Steamroller, and Simon Estes. Heartland Youth Choir’s reputation for excellence includes a gold rating in the World Choir Games and an invitation to the International Choral Festival (the first Iowa choir to receive that honor). Local jazz musician Max Wellman is a Heartland Youth Choir alum. New members are always welcome at Heartland Youth Choir. For information, visit joinhyc.org. 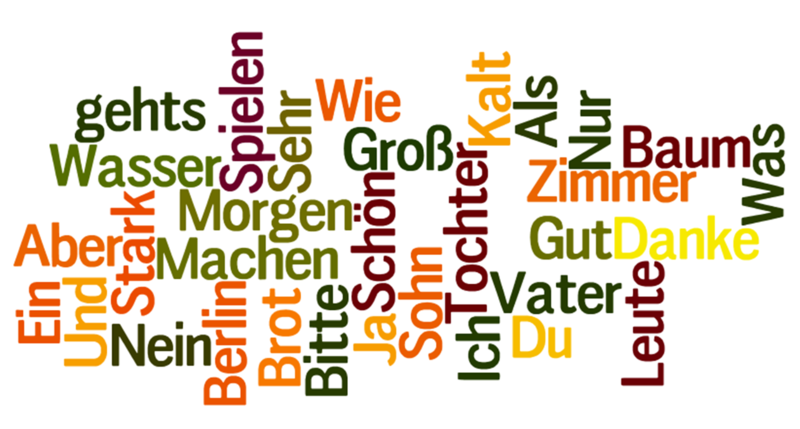 Des Moines European Heritage Association invites you to explore the German language during this 10-week beginning German language course for adults (starting Wednesday, August 2, 2017). During each 90-minute session, you will have the opportunity to learn about a variety of topics while focusing on grammar and vocabulary. There will be assigned homework and studying required each week. A textbook and workbook will need to be purchased by the student prior to the beginning of the course in addition to the course fee of $120. These materials will cost approximately $40 and are due at the first class. We will meet at the Grand View University. You may park in the parking lot directly south of the Student Center (Y on the map). Click here for a campus map. About the Instructor: Steffi Schryver received her Master’s Degree in German and English Education in 2010 from the University of Regensburg in southern Germany. Since then, she has enjoyed working with many types of students teaching both languages. She recently moved to Iowa with her husband and enjoys spending time with him, horses and her dog.